It’s that time of year again! 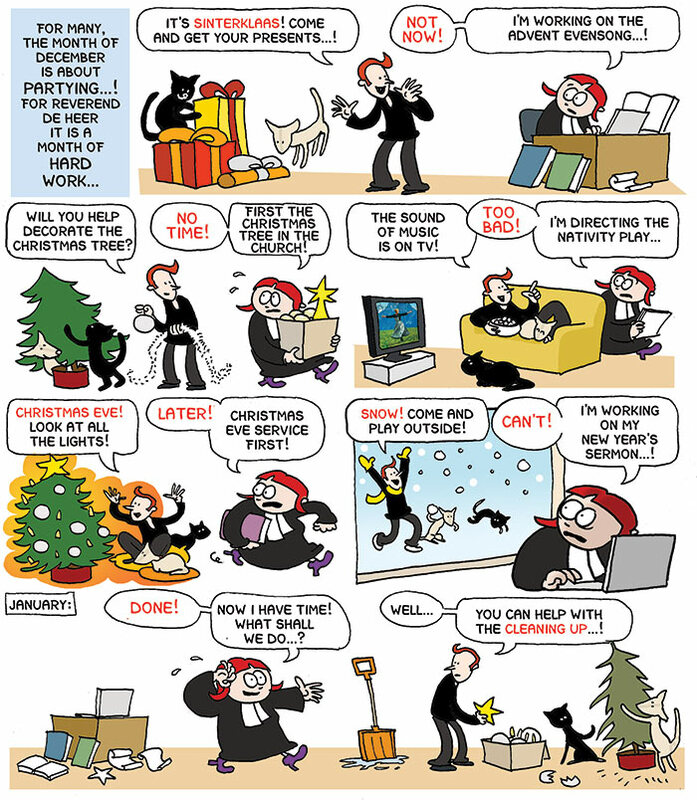 The twinkling lights, the frantic buying of gifts (why not purchase a few comics for under the Xmas tree? You’ll be the hit of the party!). 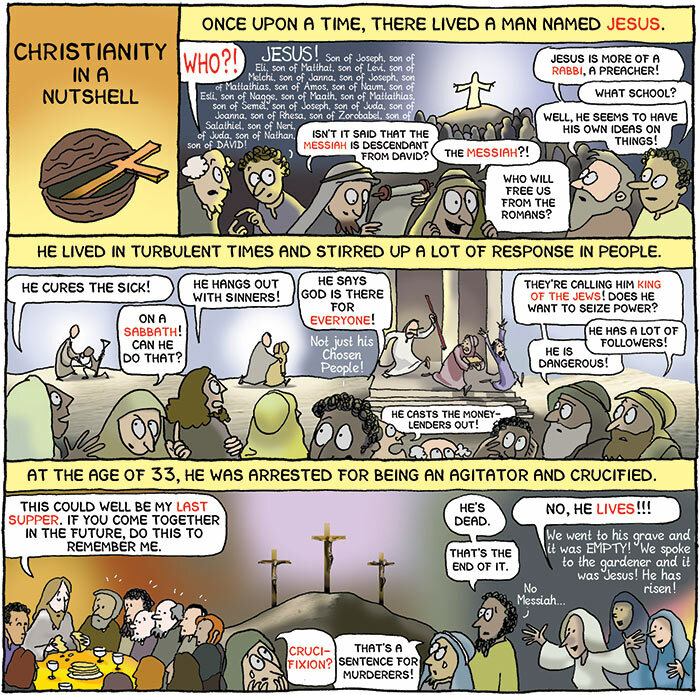 A long time ago, following in the footsteps of my parents, I chose to study theology, and I even graduated – so it’s only by a happy quirk of fate that I’m a comic artist now and not a minister in some faraway parish… Thank God! I’m actually quite enjoying drawing my parallel life. Although, if I had become a minister, my title would probably rather be: “Irreverend De Heer”.